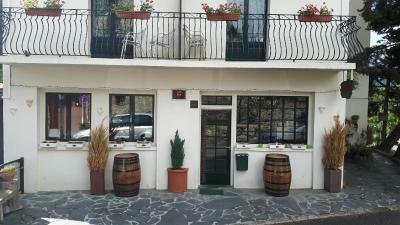 The owner was the most genuinely helpful hostel staff member I have dealt with in all of Europe. He even introduced me to his beautiful dog. Also the cutest terrazo and floral tile interior styling made it lovely to be inside when it was too cold to go outside. 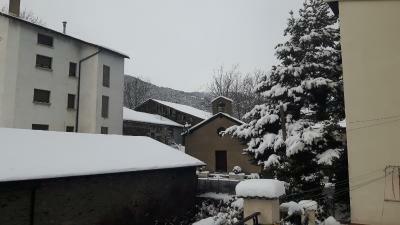 First of all, I stayed only for one night during a motorbike trip in the Pyrenees and I chose Andorra because it was cheaper than Spain. 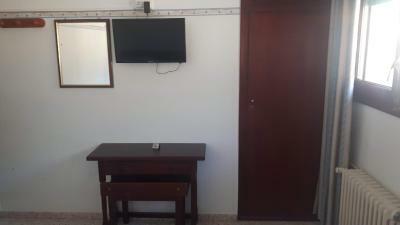 The room was clean, the people from the reception were nice and helpful and speak good English. 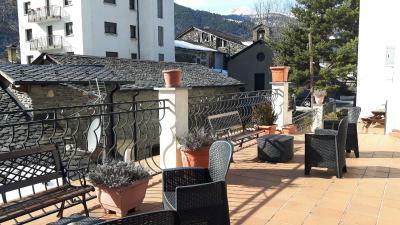 The breakfast was excellent and the property has good location: only 10 minutes walk from the center of La Massana where you can find restaurants and shops. 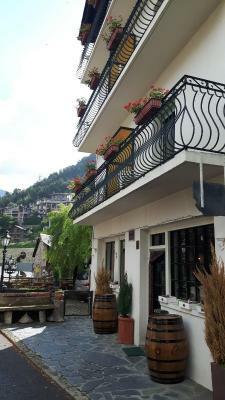 Nice little balcony in a pretty setting. Good food at dinner and breakfast. Good value for the money. 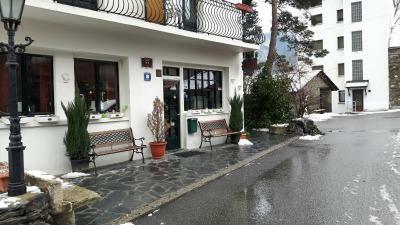 Location - perfect for short drives to city and mountains. Good breakfast - plenty of choice. 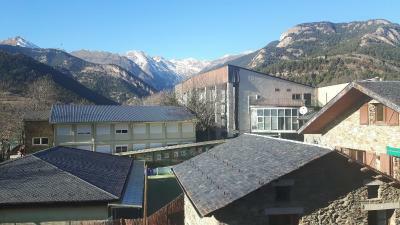 Residencia Aldosa is in a nice area of Andorra, much more picturesque than Andorra la Vella (which I found quite unappealing). 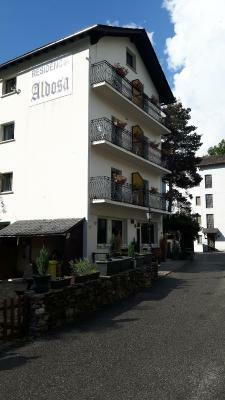 This hotel is affordable and the staff are friendly - would recommend. 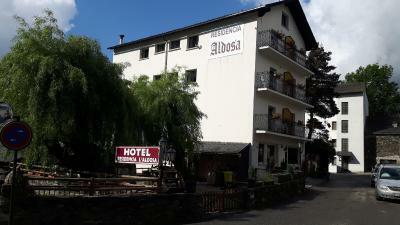 Cosy hotel with small rooms situated in Aldosa village close to Pal-Arinsal sky resort (the cable way was seen from our window but we were there to visit Grand Valira which is in 15 minutes by car). 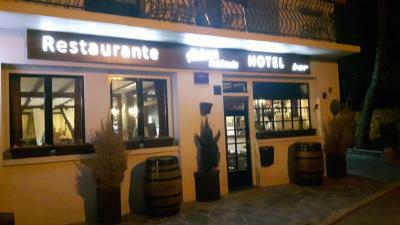 Very hospitable and friendly staff, good location if you fed up about Andorra La Viella and Escaldes with its traffic, crowd, if you want to stay out of noise and so on. In 50 meters free parking is available. 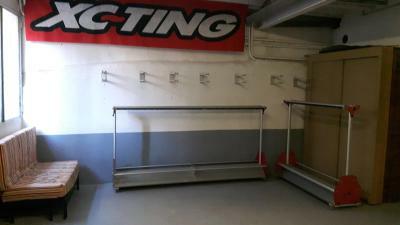 There is also special area to store there your ski equipment. Breakfast is variously enough as well as dinner offers as fixed price or a la carta in both cases were very good. 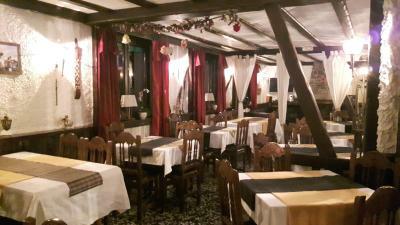 We felt very happy in this nice hotel with a good food for having diner in the hotel restaurant. Nice contacts with other guests in the dining room, good atmosphere. Very nice owners who are taking care that all is satisfying our stay. The suite for our little family (two boys 3 and 5 years old) was very good. We would like to come again as sooner as better. Greetings to the everyone. 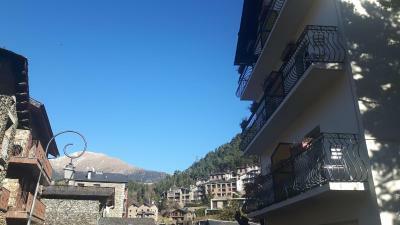 By the way the ski area Vall Nord is not far and very nice. 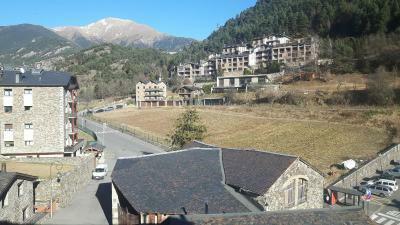 We enjoyed the stay in Andorra and in the Hotel Aldosa very much. Residencia Aldosa This rating is a reflection of how the property compares to the industry standard when it comes to price, facilities and services available. It's based on a self-evaluation by the property. Use this rating to help choose your stay! 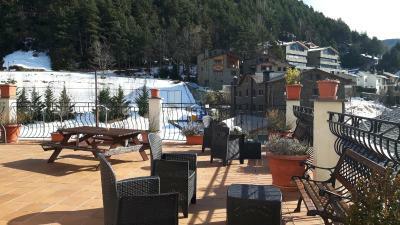 This small guest house in the town of L’Aldosa, Andorra, offers simple accommodations in a quiet area with a garden. 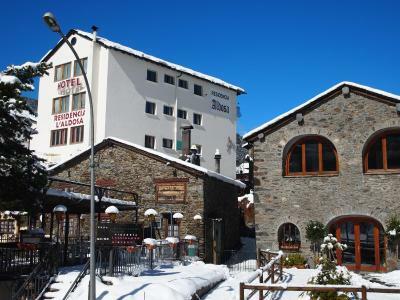 It is just a 5-minute drive away from La Massana Gondola Ski Elevator, 10 minutes’ drive from the Vall Nord ski slopes, and 20 minutes' drive from Grandvalira Ski Station. 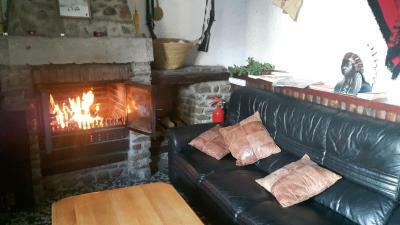 Rooms in this rustic accommodations have central heating, and offer views of the surrounding area. Some rooms also have a balcony. Private bathrooms come with bath or shower. 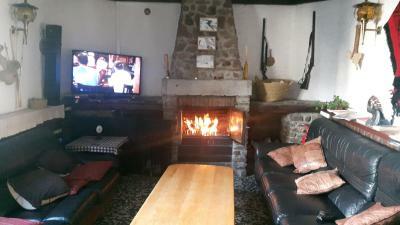 The Aldosa’s living room has a fireplace as well as a TV. 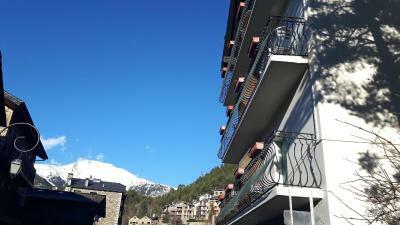 The property also offers ski storage and an area to dry your ski equipment, and there is a children’s playground. 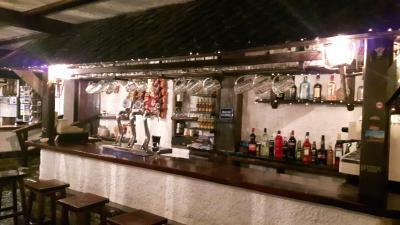 The Aldosa’s restaurant offers a buffet breakfast as well as a daily menu. 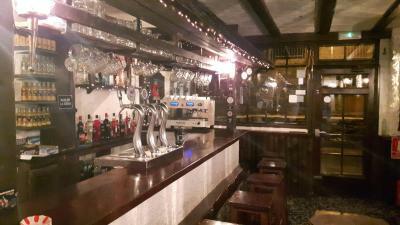 There is also a hotel bar. Free private parking for motocicles is available on site and free public parking is available 650 feet from Residencia Aldosa. 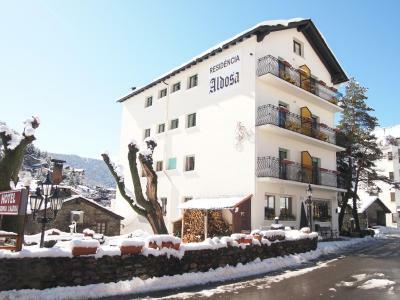 The area is known for horse riding and the equestrian center of L'Aldosa is just 1,000 feet from the property. 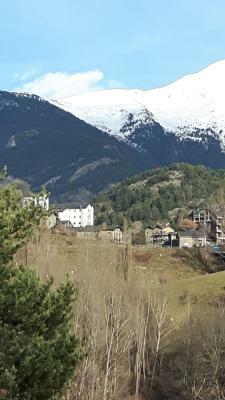 Andorra La Vella Shopping Center and Caldea Thermoludic Center are just 15 minutes away. 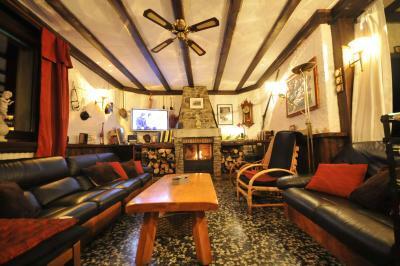 When would you like to stay at Residencia Aldosa? 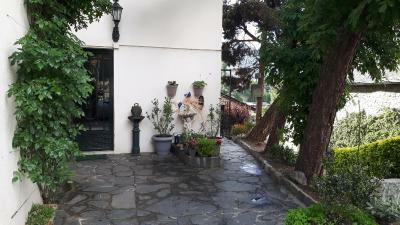 House Rules Residencia Aldosa takes special requests – add in the next step! Residencia Aldosa accepts these cards and reserves the right to temporarily hold an amount prior to arrival. 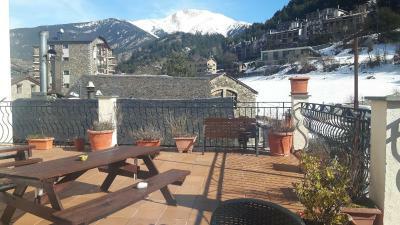 Please note that the property lies in the valley of Vall Nord, between La Massana and Ordino. It is recommended that you do not look for the shortest route on tomtom devices since they will send you off route. The lack of friendliness from the staff !! The owner (?) was not the most cheery - the man on reception (thur for check-in and sat breakfast) was incredibly miserable - not in the slightest bit welcoming !! 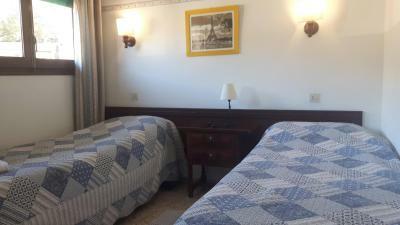 The rooms are quite small but for the price they charge it is still good value. 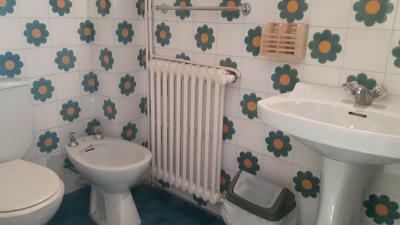 The bathroom and linen could have been a bit cleaner (hairs in the plug hole, stains on blankets). Rooms were small. Breakfast was good (variety and quality), hotel guests were quiet, shower was lovely, location good. It’s very noisy, the owner don’t care at all, no smile, no effort, we had a problem with internet couldn’t connect 2 iPhone, 1 iPad and one laptop and they kept telling us the internet was good, strangely any other place in the city we had no problem connecting our devices. I find a old razor and a empty bottle of shampoo in the bath. Sadly not happy, it’s a first and I spend my life around the globe in hotels. The employee is very friendly. Friendly staff. Relaxing atmosphere. Very quiet location. Simple, clean room with comfy bed (firm mattress). Fantastic shower with powerful water-pressure! Nice breakfast buffet. Noise travelled through building easily. Cool location, great breakfast. Super place!